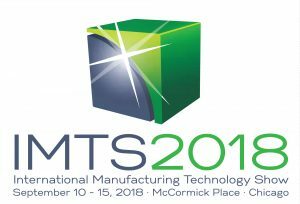 Andantex USA, a leading provider of high-precision motion control components and systems located in Ocean Township, NJ, is proud to announce that we are an exhibitor at IMTS – September 10-15, 2018 at McCormick Place in Chicago, Illinois. Booth # 236016, North Building, Level 3. IMTS is one of the largest industrial trade shows in the world, featuring 2,407 exhibiting companies and 115,612 registrants. The event is held every two years in September at McCormick Place, Chicago. This year’s show sponsor is AMT – The Association For Manufacturing Technology, of which Andantex USA is also a member. Andantex USA will be showcasing products such as Planetary Servo Reducers, Servo Worm Reducers, Industrial Rack and Pinions, 2 Speed Spindle Drives, Right Angle Gearbox Drives, Automatic Lubrication Systems, Lifting Systems and Large gears. If you’re planning to attend IMTS, please let us know so we can schedule a time to meet with you and discuss your project needs. Get in touch with us at info@andantex.com or give us a call.